12 Mar What is Internal Linking, and How Does it Help SEO? Search engine optimization has become a necessity for businesses trying to rank high in Google, and other search engines like Bing, and Yahoo, but many business owners still don’t realize all of the aspects that go into improving these rankings. One of the largest factors that is often overlooked in SEO is the practice of internal linking. 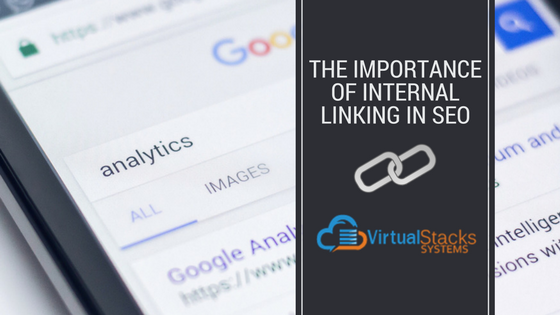 Internal linking is, essentially, when you connect one page of your site to another page on the same site as a reference, like we did in the first paragraph of this post. This confers the authority of what you are writing about upon your own site, rather than sending potential customers to a competitor. For example, if you own a farmers’ supply store, your website could include a page about what’s better for growing: store-bought soil (which you sell) or home-made compost. You can use “home-made compost,” as a branch off to a list on your site – “The Top 10 Things You Can Put in Your Compost.” From there, you can link back to your store where you sell composters. This creates a spider-web effect. Each link can draw visitors in further and further. As long as you have a strong web, you can realistically keep capturing their attention with other pages that would interest them, and eventually convert their traffic into a sale or a lead to be cultivated into a customer. To do this, you will want to incorporate strong anchor text. Anchor text are the words that are linked to another page. As we all know, web links look like “www.website.com/info.” However, using that verbatim can lose your visitors and pull them away from the post. By using anchor text, anyone can read without being interrupted, and get hooked into another page. Anchor text also sends a clear signal to Google that this page is relevant to search users typing in that phrase. What Are the SEO Benefits of Internal Linking? There are two main benefits to incorporating internal links. 1- The first, and more obvious, is that readers will stay on your site longer. You can add multiple links to increases the likeliness that they will stay on your site, and eventually direct them to take the desired action – such as make a purchase or take the first step in becoming a business lead. 2- The second, and harder to track, is that it will actually increase your ranking, and move you up the search engine ladder. Part of this is because you will be increasing the authority of your site, and so Google’s algorithm will be able to index it better. The other part, is that through implementing strong anchor text, you can hit keywords that people are looking for, and create an index for Google to pull from. With a strong network of internal links, and keyword anchor texts connecting them, people searching for those keywords can find your site more easily through search engines. Because anchor text and internal links are integral to the building of any website, it’s essential that business owners and decision-makers choose a web design firm that has strong experience in incorporating SEO best practices. Our dedicated team at Virtual Stacks Systems will identify how to meet your needs and build your site to increase your traffic. We also offer tailored packages for every budget. We welcome you to contact us for more information.